As Alexandra Black and other workers at Conservators Center in Burlington, N.C., cleaned the lion enclosure, a lion named Matthai was able to escape from his locked holding pen. He fatally mauled Black, a 22-year-old intern who had only worked at the park for 10 days. Afterward, when Matthai didn't respond to tranquilizer darts, he was shot multiple times and killed by deputies with the Caswell County Sheriff's Office. This tragic incident is under investigation. In the meantime, the facility is indefinitely closed to the public. Conservators Center is a privately owned nonprofit "community zoo," as one of its co-founders referred to it. It houses 85 animals including over a dozen lions, three tigers and two leopards. The facility is regulated by the USDA but is not accredited by the Association of Zoos & Aquariums (AZA), which has standards for animal management and care. The AZA stated that this is typical for facilities licensed by the USDA to keep dangerous animals. North Carolina, where this tragedy occurred, is one of only four U.S. states that allow the private ownership of exotic animals (Alabama, Nevada and Wisconsin are the others). Because, as this incident sadly shows, this can be very dangerous, the private ownership of wild animals is opposed by the American Veterinary Medical Association, Centers for Disease Control and Prevention, American Bar Association, Humane Society of the United States and other groups. The deaths of Black and Matthei should not be in vain. 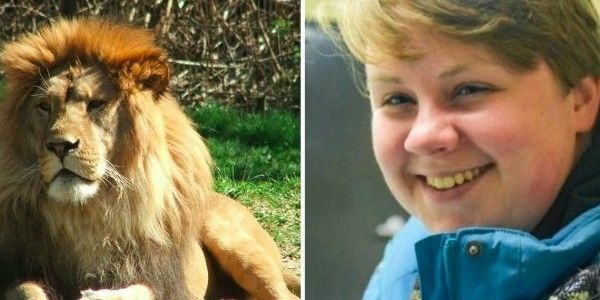 Please sign and share this petition urging North Carolina lawmakers to help prevent more tragedies by prohibiting the private ownership of exotic animals.